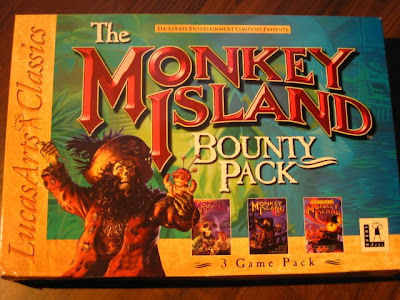 I know this classic and quite frankly fantastic Monkey Island collection is really rare -especially in its complete- though I'm not quite sure it's actually worth the asking price of say 100£. 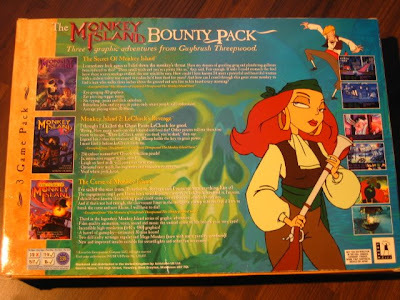 Then again if you are a Lucasarts collector or a Guybrush groupie with cash to spare, then there's nobody stopping you and you will definitely appreciate this complete & boxed Monkey Island Bounty Pack. Seller ships to N. and S. America, Europe, Asia and Australia. Too much expensive, specially because you can purchase the same games individually for a cheaper price.